1967 is quite an iconic year in the history of rock and soul music. It’s the beginning of my favorite period of music (’67-’73), contains the ‘Summer of Love’- at least to journalists the beating heart of the whole hippie movement with the possible exception of Woodstock, and is said to be the beginning of the album rock era thanks to the Beatles’ “Sgt. 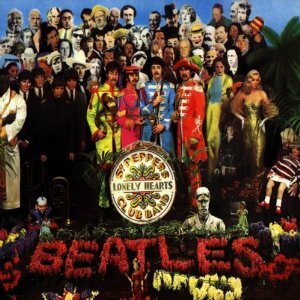 Peppers Lonely Hearts Club Band”. It is also perhaps the beginning of alternative music (with apologies to Frank Zappa) with the release of the Velvet Underground’s first album. Though the year marked the start of much of the avant-garde rock & psychedelic music that would remain fertile for at least several more years, the bulk of music released that year was still attached to the template of the 3 minute single. There was an incredible amount and variety of great pop music released in ’67. Unlike today’s hyper-formatted radio stations pop music back then encompassed an array of styles- soul & funk, country, folk-rock, Tin Pan Alley Pop, garage rock, late British Invasion style pop, early forms of reggae and shorter and more tightly produced versions of the psychedelic and heavy blues music prevalent in ’67’s avant-garde. Music back then was also very regional and the dominant sounds were coming out of New York, London, Los Angeles, Detroit, San Francisco & Rick Hall’s FAME Studios in Alabama. Soul music experienced one of its most prolific years in ’67. It seemed like every artist and group were firing on every cylinder. All of Motown’s biggest artists had some of their biggest and very best singles in ’67. The Four Tops had “Bernadette” and “Standing in the Shadows of Love” along others. The Temptations “All I Need”, Smokey & the Miracles “I Second that Emotion” and “More Love”. The Supremes “Reflections” and “The Happening” both hit #1. Stevie Wonder had “I Was Made to Love Her”. Martha & the Vandellas “Jimmy Mack”, and the Marvelettes “The Hunter Gets Captured By the Game”. The great Marvin Gaye had several of his great duets with Tammi Terrell that year as well including “Ain’t No Mountain High Enough” and “Your Precious Love”. Check out that list- and that was ONLY Motown. 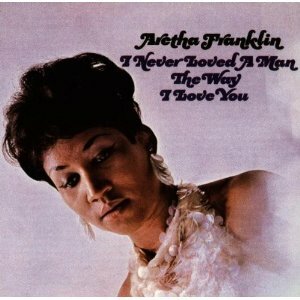 Atlantic, the other most prominent soul label, had standout releases as well including “I’m in Love” by Wilson Pickett, “Tramp” by Otis Redding & Carla Thomas, “Skinny Legs and All” by Joe Tex, “Sweet Soul Music” by Arthur Conley & especially the debut album (on Atlantic) by the incomparable Aretha Franklin, “I Never Loved a Man the Way I Love You”- one of the best soul albums ever released which contains iconic tracks like “Respect”, the title track & “Do Right Woman- Do Right Man”. Atlantic subsidiary Stax-Volt had their own ginormous hits like Sam & Dave’s “Soul Man” and “When Something is Wrong With My Baby”, the Bar-Kays “Soul Finger” & William Bell’s “Everyone Loves a Winner” and “Every Day Will Be Like A Holiday”. Elsewhere southern soul singers like James Carr with “Dark End of the Street”, Brenton Wood with “Gimme a Little Sign” and “Oogum Boogum Song” and Erma Franklin with “Piece of My Heart” (famously covered by Janis Joplin with Big Brother and the Holding Company a year later) also enjoyed commercial and artistic success. In the north Chicago’s the Impressions were still going strong with civil rights anthem “We’re A Winner” and Etta James delivered two of her best songs with “Tell Mama” and “I’d Rather Go Blind” Meanwhile James Brown was busy inventing Funk music with songs like “Cold Sweat” and “Get It Together”. White people got in the act two with the blue-eyed soul of groups like the teenage Box Tops with their huge #1 “The Letter”, the Soul Survivors with “Expressway to Your Heart” and especially the Rascals who had multiple hits in ’67 including “Groovin’, “How Can I Be Sure” and “Lonely Too Long”. There were great years before and great years after but the sheer number of great soul songs in 1967 is truly staggering. The British Invasion was begun in 1964 with the ascent of the Beatles in America. By ’67 the chirpy pop sound was dying out a bit and made way for heavier, bluesier, stranger & more psychedelic sounds. The one holdout seemed to be the Hollies, as tracks like “Carrie-Ann” and “On A Carousel” recalled the sweet harmonies and pep of the previous years. The biggest four bands of the British Invasion all had standout years in 1967. The Beatles, in particular, continued to dominate and drive the culture around them. After releasing two watershed albums the previous two years with “Rubber Soul” and “Revolver”, they released “Sgt. Pepper” in early summer which was the first rock album to be taken seriously by music critics and the establishment as a work of art. Though the album doesn’t really stand up as being one of the group’s three of four best albums in retrospect, it’s still a masterpiece. 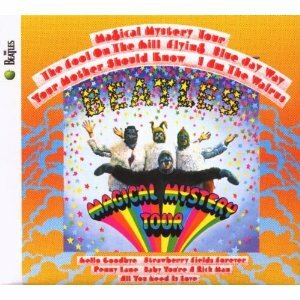 Aside from “Peppers” the Beatles released game-changing and massive singles like “Strawberry Fields Forever/Penny Lane”, “All You Need Is Love/Hello Goodbye” and “I Am the Walrus”- all later included on their second ’67 album “Magical Mystery Tour”, a classic in its own right. The Rolling Stones released “Between the Buttons” as well as their answer to “Sgt. Peppers”, in “Their Satanic Majesties Request”, an album short of their general high quality albums but still not without their charms. It’s tough to call ’67 a down year for the Stones when they releases “Ruby Tuesday”, “Let’s Spend the Night Together”, “Dandelion”, “2000 Light Years from Home” and “She’s a Rainbow”. 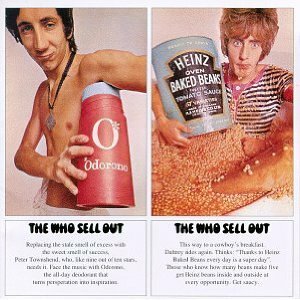 The Who came out with their first concept album “The Who Sell Out”, an homage (critique?) to BBC radio and precursor to more elaborate concept albums like “Tommy” and “Quadrophenia”. “Sell Out” holds up as well as either. 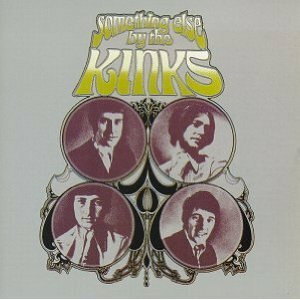 The Kinks, usually given short shrift next to the other three bands, released what I think is their best album “Something Else”, their second in a line of stellar mid-late sixties masterpieces. The Spencer Davis Group had some big hits in ’67 with “Gimme Some Lovin'” and “I’m A Man” and their teenage protege singer/keyboardist Stevie Winwood would go on to help form Traffic who released their debut album “Mr. Fantasy” at the end of the year. 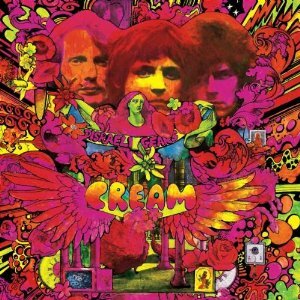 The super group Cream released their second and most popular album “Disraeli Gears”, which contains “Sunshine of Your Love” and “Tales of Brave Ulysses”- two of the band’s most enduring songs. The Moody Blues, who had an upbeat hit several years earlier with “Go Now”, completely changed their sound and released their debut album “Days of Future Past”, helping to pave the way for prog-rock and incorporating even more elements of classical muic than the Beatles did with “Sgt. Pepper”. The Animals, became Eric Burdon & the Animals and had hits with “When I Was Young” and “San Francisco Night” but the band was on its last legs. Though he was not a Brit, American born Jimi Hendrix moved to London to get his start and with his two British bandmates formed The Jimi Hendrix Experience. They released two albums in ’67, the perfect debut “Are You Experienced” and the maybe even better “Axis: Bold As Love” released at the end of the year. 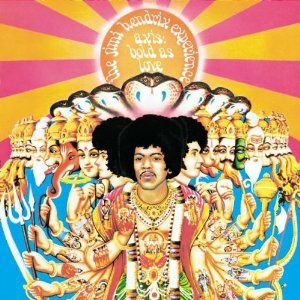 Between the two albums there are at least a dozen classic songs and Hendrix changed rock music and the electric guitar forever after their release. 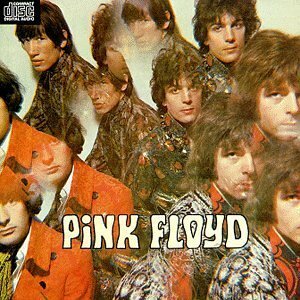 The great Brit band Pink Floyd also debuted in ’67 with their two Syd Barrett sung hit singles “Arnold Layne”, and “See Emily Play”, along with the full length album “Piper At the Gates of Dawn” “Piper” sounds almost nothing like their more popular 70’s output but it’s a classic album in its own right, stretching the boundaries of rock’s avant-garde and certainly the best document of the Syd Barrett years. It’s downright irresponsible to talk about avant-garde or underground rock without mention the NYC’s Velvet Underground along with their Andy Warhol appointed German chanteuse Nico. 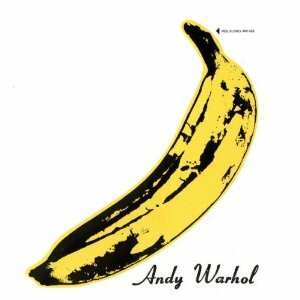 “The Velvet Underground & Nico” album was released in January of ’67 and though it was only a small hit during its initial run, it managed to be more influential on 30 years of underground & alternative music than just about any other band. It’s one of my very favorite albums of all time and I consider each track a standout. You can trace a direct path from certain genres of outsider music directly back to songs like “Heroin”, “I’m Waiting for the Man”, “Femme Fatale”, and “I’ll Be Your Mirror”. Nico released a separate album as well called “Chelsea Girl” that has also proven influential if much less so. Despite all that was happening in Detroit, the American South, New York City and overseas in the U.K., California was probably the biggest hotbed of music in 1967. Arthur Lee & Love had been big on the scene for several years but had yet to break out nationally. 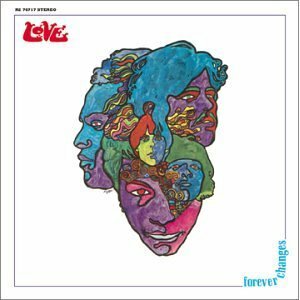 In ’67 they released their second album “Da Capo” and their third and best, the classic “Forever Changes”. Though “Changes” is well known in critics circles and often finds its way onto best album of all time lists, it still didn’t sell well, resigning this great band to permanent underground status. It’s as good as advertised though. Love was the house band at L.A.’s famous Whiskey A-Go Go and their opening act was a little band called The Doors. 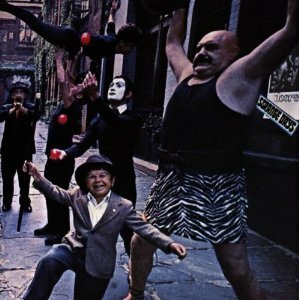 The Doors would release both of their first two albums in ’67 as well- the self-titled debut in early winter and then “Strange Days” toward the end of the year. 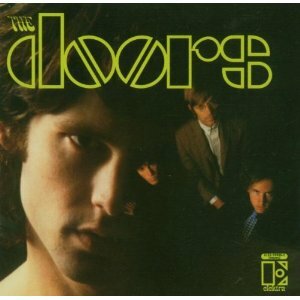 It’s safe to say that though it took a few months for the Doors to hit, they quickly overtook Love in sales on way to becoming one of the most commercially successful bands of the time. 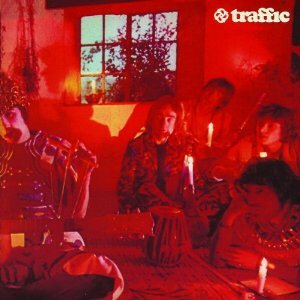 The debut still stands as their definitive statement and “Days” is probably their 2nd or 3rd best album. Hard to believe that all of that great music came out in 1 year. 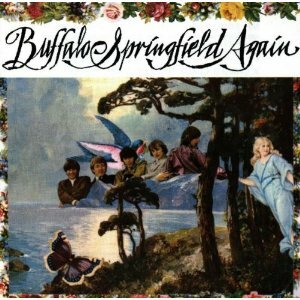 Buffalo Springfield released their classic single “For What It’s Worth”, a response to L.A.’s Sunset Strip riots, as well as their 2nd and best album “Buffalo Springfield Again”. Members of Springfield, Neil Young & Stephen Stills along with Richie Furay (later of Poco) would all go on to greater commercial success in their later careers but their original band should not be missed. 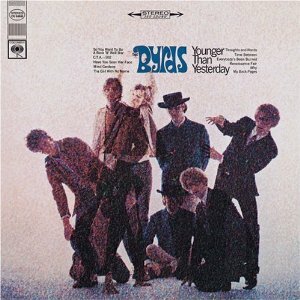 The creators of folk-rock The Byrds released their fourth and best (even if not commercially) album “Younger Than Yesterday” along with the “Goin’ Back” single which paved the way toward a mellower sound that they would explore in the following year. L.A. groups like the Turtles and the Association were made up of expert studio musicians and both groups had multiple hits with some of the sweetest harmonies ever put to wax. After 1966’s “Pet Sounds”, creative genius Brian Wilson was in the middle of a mental breakdown but the band was still able to put out two albums “Smiley Smile” and “Wild Honey”. Both paled in comparison to “Sounds”, but “Smiley Smile” contained elements from the future classic “Smile” Wilson was working including the great song “Heroes and Villains”. The Beach Boys output would never be quite the same after 1966, but their was enough genius left to not take all of it for granted. Perhaps the most unfairly reviled group of 1967 was the Monkees. They were an non-organic group of actors and musicians who tried out for the band and tv show the previous year and their music was supervised by Don Kirschner. Their songs were written by some of the best writers in the business, top notch studio musicians handled the instruments and the four Monkees themselves did nothing but the singing…at least at first. The Monkees released three albums in ’67- “More of the Monkees”, “Headquarters” and “Pisces, Aquarius, Capricorn & Jones”, and though none is perfect, each has at least 5 or 6 great songs on it. 15 great songs in 1 year is not too shabby whether you’re writing the songs or not. And it turns out they wrote and played much more than was originally thought. Guitarist/singer Mike Nesmith was writing songs for their albums all along and Nesmith, multi-instrumentalist Peter Tork & drummer Micky Dolenz were all fine musicians. On “Headquarters” the band wrote nearly all of the tracks and played on all of them. Mike Nesmith, along with Gram Parsons, was the first musician I can think of to play country rock and was instrumental in the genre’s inception. Los Angeles, along with New York and Nashville, is the heart of the music industry. The record labels are there, along with most of the major recording studios and the rest of the infrastructure. Up in the northern part of California a very different, much looser scene was emerging. The Haight Ashbury in San Francisco was considered the heart of the ‘Summer of Love’ and some of the city’s best bands were active in ’67. The Grateful Dead released their debut album- not a great album by any means but it did contain several classic songs and helped build the profile of what would become one of the most important live bands in rock history. 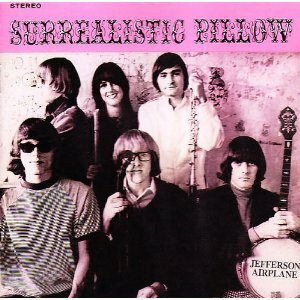 The Jefferson Airplane released their debut “The Surrealistic Pillow”, which contained hit songs “Somebody to Love” and “White Rabbit”, along with the more experimental “After Bathing At Baxters”. Texas raised Janis Joplin joined the SF band Big Brother & the Holding Company and they released their debut. Again, not their best, but it did contain “Down On Me” and “Bye Bye Baby”, two important tracks in the Joplin canon. 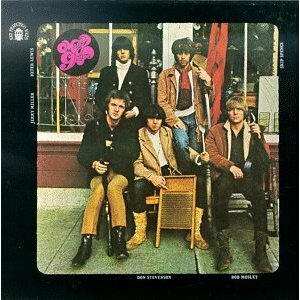 Lesser known group Moby Grape released their self-titled debut as well and like L.A.’s Love remains unfortunately little known to the general public mostly due to record company mangling of the release. Alongside all of the above music, ’67 also had a ton of garage rock bands having hits like the Human Beinz, the Seeds, the Standells, the Music Explosion & the Chocolate Watchband- most were only known for having 1 or 2 hit singles, the best of them 3 or 4. These bands were from all over the country and England, the rest of Europe and Australia/NZ had their fare share as well. These were fun, energetic, often loud rocking and sometimes very experimental tracks that very much helped define the sound of the time. They were the progenitors of punk rock music. Their template seemed to be “You Really Got Me” by the Kinks and “Louie Louie” from the earlier sixties. They mimicked their more successful heroes in the Beatles/Stone/Who/Kinks/Animals/Bob Dylan etc… Some of the tracks were more original than others but the overall output by these bands is a treasure trove of music. You can say the same about the music of 1967 in general. The Monkees- Pisces, Aquarius, Capricorn & Jones Ltd.
11. 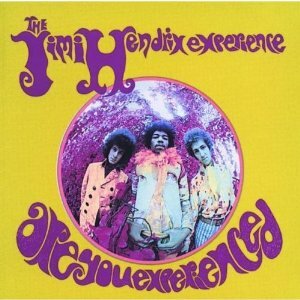 The Jimi Hendrix Experience- Are You Experienced? Buy Pleasant Valley Sunday – Pisces, Aquarius, Capricorn & Jones Ltd.
14. The Monkees- What Am I Doin’ Hangin’ ‘Round? Buy What Am I Doing Hangin’ ‘Round – Pisces, Aquarius, Capricorn & Jones Ltd.
1. John’s Children- Smashed! Blocked!